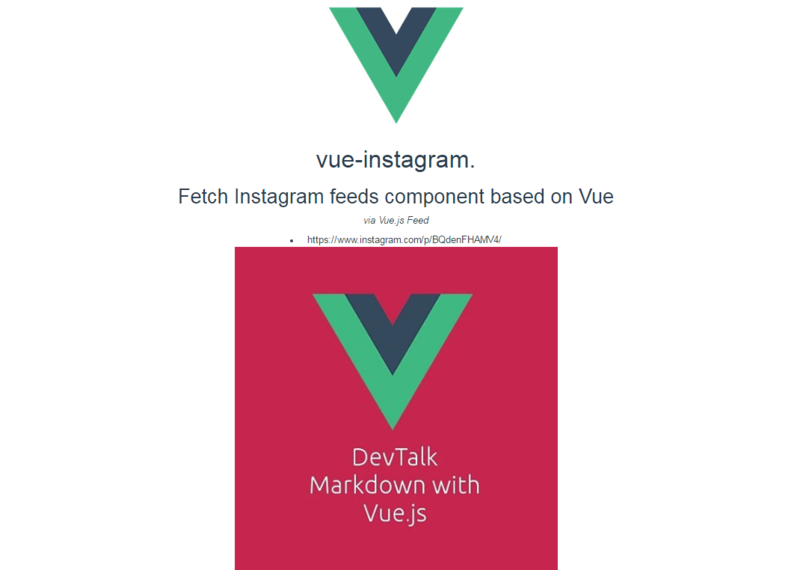 Use this Vue component to add Instagram feed to your page (requires permissions). With Vue-Instagram you can display a specific number of Instagram posts (Instagram basic permission limits to 20) from a profile and display them in any way you like. Notes: this example will render as bellow. Before you begin, you must create an access token, which requires a instagram profile, and then register a new client and authorize your app. Instructions and details can be found on the Instagram Developers pages. You can check Vue-dev tools to see the response data. Live Demo & GitHub repo.